The N62FNK-2 Finishing Nailer is the perfect tool for tackling the detail work that makes your home stand out. 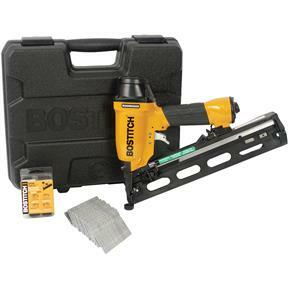 Use this nailer with a standard air compressor to add trim around windows and doors, apply crown molding, or work on furniture projects. For a pristine finish, a choice of four angled profile tips ensures the perfect drive every time. 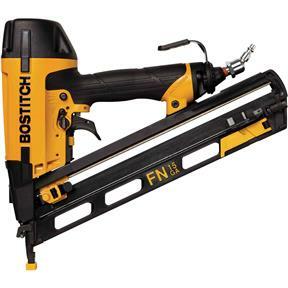 Also, this nailer features oil-free operation, so it's easy to maintain and it won't stain your workpieces. The N62FNK-2 has adjustable nail-depth settings and an operating range of 70 to 120 PSI, which means you can dial in the right depth for the job quickly and easily. And with a driving power of 400 in/lbs, you can easily set 15-gauge finishing nails into even the most challenging hardwoods with power to spare.